Well we are almost half the way through the year already. Time flies when you run your own business and we it won’t be long before the holiday slowdown so I thought I would talk about some techniques to get some customers in through your door before everyone takes a vacation. Today I wanted to write a post about therapy marketing and retargeting. Plus I have a great case study that I wanted to share with you from one of the therapists who used my Google Adwords course to attract new clients in Sydney Australia. If you are not using retargeting in your advertising then you are missing a trick. This is such a simple concept yet so many therapists have not even thought about applying the principles to their marketing efforts. Very simply retargeting means marketing to clients who have already shown an interest in your products or services on your website. Although we can of course retarget to people who may have sent us emails in the past or used us to help them before the term retargeting typically is linked with website visits. You have probably seen this in action before but have never really thought too much about it so let me explain. Have you ever visited a website before and looked at certain products debating on whether to make a purchase and then found that when you left that website you suddenly saw adverts for the exact product you were looking at? If you use the internet then this is probably happening to you daily. As an example yesterday I was on a website printing off information about getting a new house sign made. Five minutes later on Instagram an advert was served to me with the exact same sign enticing me to make a purchase. Therapy marketing and retargeting can do the same for you but only if you set it up correctly otherwise you could be wasting your money. Although this is the simple version it is a little more complex to set up to get right but immediately you can see the potential. Remember only a small portion of your visitors will convert into purchasers on their first visit. Regtargeting means that you up your chances of success of eventually getting that sale. Firstly getting retargeting approved on Google Adwords is incredibly difficult because of the sensitive area that we work in. In fact I bypass that platform for this particular purpose. I can totally see their point as well. Imagine you are browing a web page about erectile dysfunction and immediately I start serving ads up to the at person about my therapy to help solve the problem. Now imagine that this person lives with their family and another member uses the same computer and sees the ads. This means they immediately know something about a family member that should have remained very private. Facebook however does not have such stringent rules and retargeting therapy is possible providing you serve ads in the correct way. If you purchase my Facebook Ads Course I show you how to use this lucrative form of advertising to get more sales and leads. There are other problems with remarketing as well. Go back to the example I gave you earlier on about heading to a website offering house signs. In this instance I had already purchased the sign a month or so earlier. I was actually revisiting the site to print off the details for one of the builders because he wanted something similar on his house. The company that had served me the advert had actually already made the sale but were still spending money showing ads to me which were now unnecessary. In addition how many times have you gone to a website and browsed a product to find it is exactly the thing you didn’t want. Now imagine the horrible product following you around the internet day in day out. If anything you are now put off ever visiting that website again as it has a negative impact on you. The key to remarketing is striking the right balance between serving up ads that directly speak to a person but doing it for just the right amount of time so that it does not become stale. Another useful area where remarketing can be used is when someone heads to your online shop and abandons the cart without finalising the purchase. Statistics show that around 68% of people never finish a purchase on a site which is a huge amount of money being left on the table. Reminding those people of your product can significantly reduce that figure. A perfect example of how therapy marketing and retargeting could make you lots more money especially if you are selling big ticket items. As I said earlier even if you consider it too difficult to set up a remarketing campaign you can retarget customers using simple email. Where possible you should be collecting emails of visitors to your website as well as people who use your services. If you send them offers, information on new services and general interesting updates you can get additional business. This is a no brainer! Remember it is hard enough to attract customers who spend with you in the first place. Once you have those customers nurture them and provide them extras that make them want to buy from you again and again. Finally I just wanted to share with you a quick case study from a hypnotherapist in Sydney who just finished my Google Adwords for Therapists Online Course. This therapist is a newcomer to hypnotherapy and had just started a therapy business in a highly competitive city. He knew that just waiting for SEO to help him get some business was going to be a long process so he decided to buy my course on paid advertising to see if it could help him get some clients. He was happy to give his permission for the following statistics to be shown to you all. Total Ad Spend – $914.09 (including GST which is 10%). Lifetime Customer Value – $342.5 (based on my first 8 clients – I suspect this will go up over time). As you can see the numbers speak for themselves. In a really short space of time he had attracted 8 new clients and earned back significantly more than he had spent in advertising. He believed that with tweaking he could lower the percentage he spent on advertising. I believe that not only could he substantially lower that figure he could also have significantly increased his revenue by selling programs rather than individual sessions. 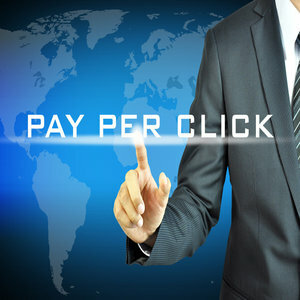 This is the power of pay per click advertising done correctly. Just as an interesting aside this means that this therapist made back over twenty times the cost of my course on his first attempt. Not a bad invesment especially when similar or even bettr results can be repeated time and time again. Of course not everyone gets this right first time and without guidance I have seen people make some horrible errors and lose lots of money because they did not understand what they were doing. Those same people believed that Adwords was simply not worth the money when in fact it was them who had the problem rather than the system. Be careful dabbling in something you don’t understand!